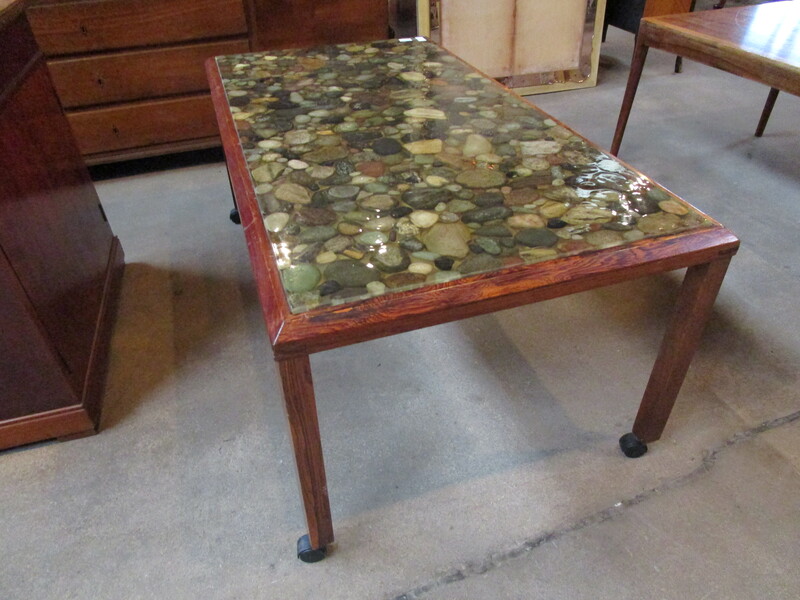 This coffee table is so cool. 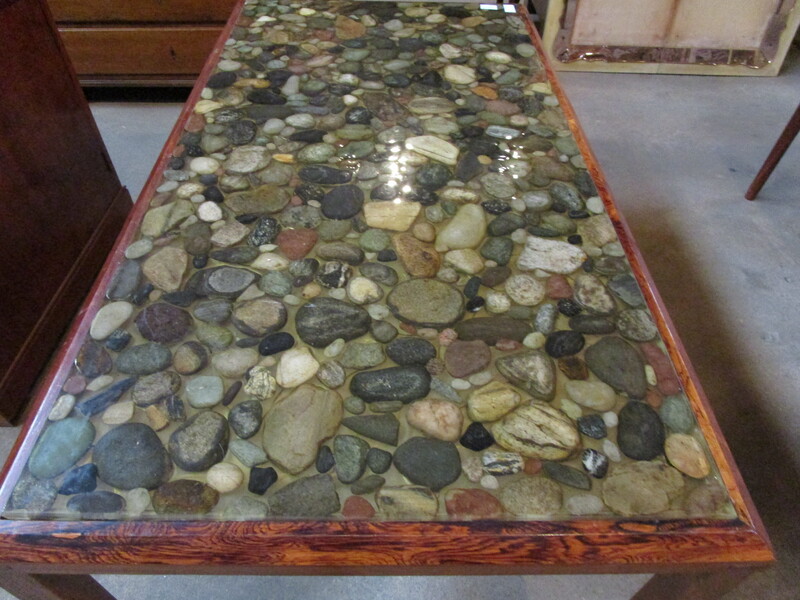 It had real river rocks imbedded in the top and then covered in a clear resin. The frame is BRAZILIAN ROSEWOOD.